Shell to 13 mm, with 7-10 low-profile costae, costae joined from whorl to whorl. Shell color is glossy, translucent white, with a narrow light-brown band below the suture. 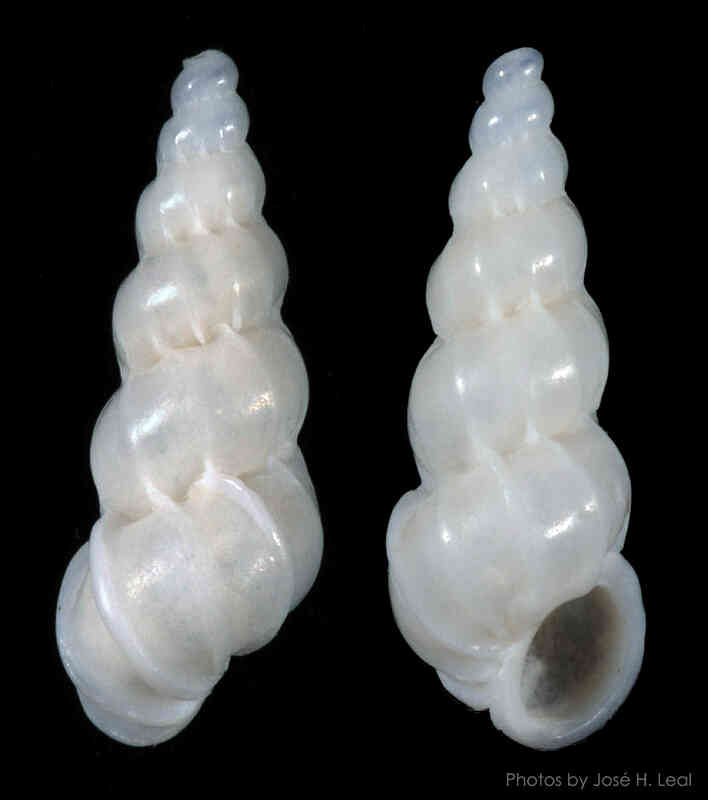 The shell in the photos measures about 8 mm. It is one two found by Steve Rosenthal in shell grit collected at low tide, west of the Sanibel Lighthouse Fishing Pier just after Hurricane Nate, in October 2017. The shell ID was confirmed by wentletrap specialists Len Brown and Dr. Emilio García.